In situations both in and out of his control, Nicholas Dirks has been the figurehead for the campus’s public image, at times defending the campus, and other times, himself. With a four-year tenure — one of the shortest chancellorships in campus history — Dirks has worked to battle the campus’s $150 million dollar structural deficit, hampered by the state’s decrease in funding alongside an increase in student enrollment. He grappled with the spotlight after a string of high-profile sexual harassment scandals among longtime campus faculty and was recently found by a university investigation to have failed to pay almost $5,000 in fees for using campus personal trainers. On and off campus, he was openly criticized for how he responded to cases of sexual misconduct among faculty, as students seized the opportunity to turn allegations of public funds misuse into memes. In a petition, 47 campus faculty members called for the Academic Senate to consider a no-confidence vote against Dirks during the summer of 2016, according to campus sociology professor Michael Burawoy. The last four years have provided unique challenges to the chancellorship, from routine budget and funding issues to the campus’s changing political climate. When Dirks first arrived, however, few of these obstacles were immediately obvious. Robert Birgeneau, who declined to comment, announced that he was stepping down as chancellor in March 2012 amid drawn-out controversy over the $321 million for the construction of Memorial Stadium. In November 2012, the chancellor search committee announced that Dirks had been confirmed as UC Berkeley’s tenth chancellor. The initial reaction was, according to many faculty, hopeful. Dirks was well-known among academics for his published studies on Southeast Asian culture and research in imperialism history. Several of Dirks’ ideas, however, did not immediately see fruition. In 2013, Dirks began implementing the Campus Shared Services program, which was intended to save money and centralize services such as campus staff payroll and expense reimbursement across departments. From the start, the project faced criticisms for rushing the design process, which ultimately increased the amount of time that faculty and staff spent on administrative tasks instead of reducing it. In May 2016, just over a year after CSS was fully implemented, the campus replaced Dirks’ idea with a new administrative services model, acknowledging that CSS had not fulfilled its goals. In 2014, Dirks announced his plans for the Berkeley Global Campus, a proposal to transform the Richmond Bay campus into a globally focused research and education facility. The plan was projected to cost the campus $3 billion over a period of 40 years. Almost immediately, students, faculty and Richmond community members pushed back, concerned that such a research institution would gentrify Richmond. Over the next year, thousands of people from Richmond and the campus communities rallied and protested against Dirks’ proposal. After almost two years of negotiations, plans for the Berkeley Global Campus were scrapped. Without enough money, Dirks suspended the project indefinitely in August 2016 — nine days after he announced his resignation. Dirks’ earliest ideas, one by one, began to lose their steam. Dirks, a 1972 Wesleyan University alumnus, earned a master’s degree in 1974 and a doctorate in history in 1981, both at the University of Chicago. He began his professional academic career at the California Institute of Technology in 1978, later moving to teach history and anthropology at the University of Michigan in 1987. In 1997, Dirks joined Columbia University as a chair in the anthropology department and became the executive vice president of arts and sciences in 2009. As the dean of the faculty of arts and sciences, Dirks oversaw 29 departments, among other programs and research laboratories, to the tune of a $300 million dollar budget. It was in this position that Dirks made some choices that nearly culminated in a no-confidence vote against him, according to several members of Columbia faculty. James Zetzel, a classics professor at Columbia, said in an email that Dirks filed for a Mellon grant in 2012 that would have allowed him to significantly change the Core Curriculum of Columbia College, including the material and the way it was taught. He did so without consulting any staff, according to several members of Columbia faculty. When news of the grant was leaked to faculty members, many of them converged upon Dirks in a staff meeting to confront him for failing to inform faculty of this information, according to Zetzel. Zetzel could not say whether Dirks resigned of his own accord or if he was motivated to resign early because of the threat of a no-confidence vote from faculty. Dirks called these accusations a “misperception,” stating that he had already gained the approval of several faculty members for the grant and that the grant was only intended to bring in more financial support for Columbia. He speculated, however, that there may have been other faculty members who thought they should have been consulted as well. Outside of administrative duties, however, several colleagues said they remembered Dirks as a rigorous academic who was innovative and encouraging to students. Elizabeth Kolsky, a former graduate student at Columbia whom Dirks advised on her history doctorate, said she thought him to be “caring and ethical,” stating that she appreciated his hands-off approach to advising. Claudio Lomnitz, a professor of anthropology at Columbia University, remembers Dirks as a significant force in rebuilding the anthropology department, developing programs on Middle Eastern and African culture and advocating for more interdepartmental representation. He was committed to making the curriculum more global and moving the focus away from predominantly European tradition, as Lomnitz, who is from Mexico and whose research focuses on Mexican culture, said it once had been. One of the major concerns voiced over the years by members of the campus community was that coming from a private university, Dirks did not fully understand the mission and core values of a public institution. Some allege that he directed the campus to focus too much on raising student fees and private fundraising, rather than trying to influence legislators and the community to invest in public education. Some people on campus would disagree. Robert Berdahl, who served as chancellor from 1997 to 2004, said he believes that the fresh perspective from a private institution could have benefits for a public university. The key to figuring out the system, he said, is to realize that the campus has a unique “shared governance” system, in which many constituents, including faculty, all have strong but competing influences in campus governance. Bob Jacobsen, campus professor of physics and the dean of undergraduate studies at the College of Letters and Science, said critics of Dirks’ fundraising strategy do not give Dirks’ philanthropy efforts the credit they deserve, and that the responsibility in advocating for more state funding is not entirely his. “The efforts, despite all the criticism, are still doing very well,” Jacobsen said. Langan said such public private partnerships serve to establish the campus exclusively as an engine of social mobility. This, she said, makes universities appear to be private goods, only benefiting certain peoples’ pocket books. Nils Gilman, the associate chancellor and Dirks’ chief of staff, said Dirks has helped to create a more effective fundraising operation across campus, calling it “fundraising 2.0.” Previously, he said, fundraising responsibilities fell to every department chair and dean, left to their own devices to raise the money they needed. Gilman, a campus alumnus himself, cited a change in how people view public education fundraising as an obstacle. He said he and Dirks want to persuade more alumni to donate, but they know that many members of the community feel the state should pay for public education and that donating money is not part of the community culture at UC Berkeley. The record funds that have been raised in the last few years were bolstered by new donation coordination methods through “gift officers,” according to Gilman. He said this effort was also meant to ensure that the process could sustainably raise money for following generations. In 2016 alone, more than 65,300 donors made gifts totaling $479.1 million. As for the public-private investment relationships, Gilman asserted that focusing on raising money from private donors did not mean Dirks opposed advocating for more public funding. He added that he has never seen evidence suggesting that private donations lead to increased state disinvestment. Dirks has defended himself by recalling the trips he has made to the UC Office of the President in Sacramento and to Washington, D.C., to rally for more state funding. The state’s unwillingness to budge on funding the UC, he said, is what ultimately led to his decision to pursue other fundraising methods. Dirks conceded he should have been more cautious when approaching the campus’s financial situation. After Proposition 30, a state initiative designed to prevent cuts to California’s education budget, passed in 2012, he had assumed the state would give more funding to the UC, which he soon learned was not the case. “I came in at 12 percent (state funding) and I’m going out at 12 percent,” Dirks said. Leaders of public universities often have shorter tenures in general compared to those of private universities, according to Berdahl, since private universities don’t need to deal with the political friction of negotiating with legislators over public funding. One of Dirks’ successes was a commitment to improving the undergraduate experience and education on campus, according to Jacobsen, such as helping to organize Golden Bear Orientation, a freshman orientation meant to replace CalSO which will take effect in August 2017. Jacobsen also highlighted Dirks’ prioritization of the renovations project on Bowles Hall that took 11 years to complete and the creation of the data sciences program. “Perhaps if he had done it faster, it could have generated more goodwill,” Jacobsen said. Some, including Jacobsen, believe that the task of being chancellor was especially difficult during Dirks’ tenure for a variety of reasons. These include increased disinvestment from the state compounded with a mandate for increased enrollment, financial and infrastructure concerns predating him such as the stadium remodeling project, and intense, unexpected changes in the campus’s political atmosphere. Many pointed to the staggering structural deficit the campus faces. The bulk of that deficit, Gilman said, is from construction costs like the ones left over from the construction of Memorial Stadium, which the state does not pay for at all. Several faculty members pointed to the appointment to executive vice chancellor and provost of Claude Steele, a former dean from Stanford University and Dirks’ former colleague from Columbia, as his first mistake. Both were outsiders to the UC system, and both had just arrived from private institutions. Some faculty believed these appointments from private institutions led to a misunderstanding of the campus’s public mission, a culture which Jacobsen said requires “relentless transparency” from its administration. Additionally, many members of the campus community cited concerns that Dirks had not made an effort to properly reach out to students, faculty or staff. André Luu, the outgoing ASUC external affairs vice president, said that Dirks did not attend a single ASUC meeting until 2017, sending Gilman instead. Dirks did, however, attend ASUC meetings in May 2013 and February 2014. Luu said Dirks did not have enough interaction with students, and that even as a student leader, he did not have access to communication with Dirks. By early 2016, Dirks was in hot water with the public. Scandals were starting to pile up against him like sandbags in the media, from the construction of a $9,000 “escape hatch” built near his office — allegedly to allow him easy escape from student protestors — to accusations of using campus money to hire a Recreational Sports Facility personal trainer for his wife, Janaki Bakhle, during her vacation to India. Many pointed to Dirks’ handling of the sexual harassment case made against Sujit Choudhry, the former dean of the UC Berkeley School of Law, as the moment when they realized that Dirks’ tenure was beginning to show cracks. In March 2016, Choudhry was sued by his former secretary, Tyann Sorrell, for sexual harassment. Steele, who was EVCP at the time, punished Choudhry by reducing his salary by 10 percent for one year and instructed him to write a letter of apology to Sorrell. The controversy only grew when it was revealed that Choudhry recommended Steele to be appointed to the UC Berkeley School of Law faculty while the sexual harassment investigation into Choudhry was still ongoing. Dirks firmly denied that Steele’s appointment was a conflict of interest, but Steele eventually resigned in April that year. At that point, Langan said, it became clear to her and many of her colleagues that Dirks had failed to understand viewpoints from different groups on campus, and that the administration had relied too heavily on one man to try to account for mistakes that were caused by many others. Soon afterward, other scandals surfaced. Reports of a fence that cost nearly $700,000 built around his property came to light in May 2016, succeeded by claims that Dirks had used campus funds for his personal travel expenses in July. Against the rising pileup of controversies, Dirks announced his resignation August 16. Throughout his tenure, Dirks was accused of unwise decision-making, maintaining a poor public image and a misunderstanding of how the UC and the campus social and political structure worked. Following this, many questioned why he was hired. The chancellor search committee wanted someone who had experience dealing with campus protests and a campus of a similar culture to UC Berkeley’s, according to Bahar Navab, former president of the Graduate Assembly and a student representative on the committee that selected Dirks in 2012. This concern rose from the aftermath of the 2011 Occupy Cal protests. “(The potential candidates) were asked a series of questions on how they would address different situations like financial pressures, support/lack of support from the state legislature, how they saw UC Berkeley’s interests in relation to the whole UC system and how they would address being part of the system while doing what is best for Berkeley,” Navab said in an email. Additionally, they were looking for a chancellor who would connect with students, staff, and faculty in a “collaborative” way. The committee’s student representatives, she said, wanted to search for someone who would have an open door policy in interacting with students and staff. At the time, the committee was aiming to hire a female chancellor, according to Navab. Had Navab had the chance to do it again, she said, she would have also asked to reach out to students at each candidate’s previous place of employment. Campus faculty members, however, questioned whether the committee had thoroughly scrutinized each candidate’s background. 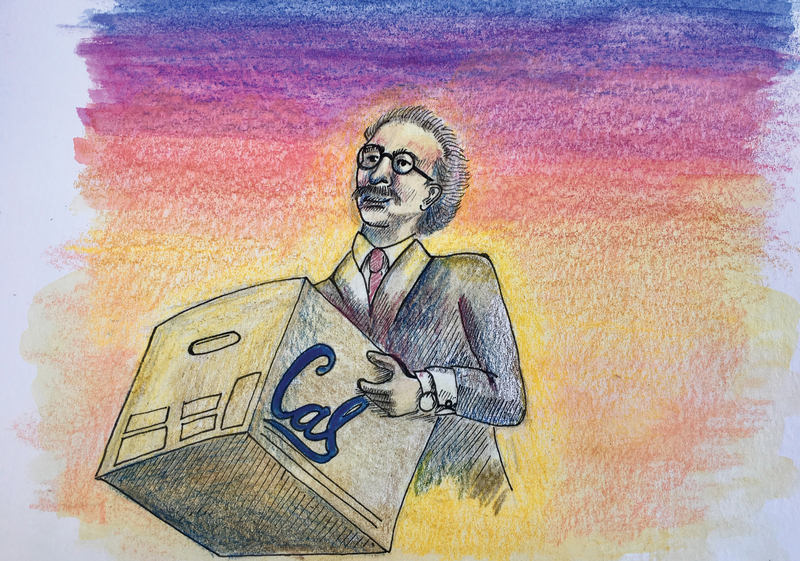 After Dirks was announced as chancellor, his previous colleagues warned some UC Berkeley faculty members of difficulties they had experienced with the new chancellor. Some members of Columbia’s faculty wondered whether UC Berkeley officials were aware of the administrative tension during his Columbia tenure. When asked about what they wished Dirks had done differently, many simply stated that he should have been more transparent about his decisions and should have been more engaging in faculty and student leadership. Langan said that he isolated himself from the campus community too quickly, when he should have been asking members of staff and faculty how the campus operated, especially being new to the UC system. With experience working in several different university administrations, including those at public universities, Dirks said that coming from outside universities prepared him to lead UC Berkeley in “some aspects.” He noted, however, that his experience with these universities was completely different from how the UC was run. Many in the campus community also mentioned that Dirks could have handled the high-profile sexual assault cases among faculty with more transparency. Morrow and Luu said Dirks did not adequately acknowledge that community members felt personally invested in these cases, which could have been mitigated with more student engagement. After the news broke that Choudhry had also violated campus sexual misconduct policy, Dirks said that he told his advisors to report all information on all sexual misconduct policy investigations directly to him. Jacobsen speculated that Dirks may not have been prepared for how much a chancellor at UC Berkeley would be thrust into the public eye. The ability to make mistakes and then admit to them, he said, is something all good chancellors must do. On March 16, Carol Christ, who has served as interim executive vice chancellor and provost since the beginning of the 2016 academic year, was confirmed as the next chancellor of UC Berkeley. She will be the campus’s eleventh chancellor, as well as the first female chancellor. Dirks will join the campus history and anthropology departments in the fall, a transition he said he is looking forward to. There still remain, however, unresolved campus issues that will have to be addressed by the next chancellor. “The conversation about a long-term financial model hasn’t reached a clear vision moving forward, the athletics plan is still not necessarily clear, and the campus climate — though I think this has less to do with campus forces and more to do with a changing national circumstance — is very fragile right now,” Morrow said. Morrow, who was part of the search committee for the next chancellor, said that the many different stakeholders on campus can make it difficult for the chancellor to make decisions. Because the campus has many different groups with varying needs, he said, it can be challenging to consistently stay true to the campus’s values while satisfying the needs of all constituents. Although Dirks’ term ran its course in just four short years, it was marked by mixed reviews and heavy public criticism. Some faculty say that its brevity will make for a forgettable tenure. If his polarizing time as chancellor is any indicator, however, Dirks’ uneven legacy has made a mark on the university he leaves not so far behind. A previous version of this article included an infographic that stated that Nicholas Dirks has been chancellor from 2012 to 2016. In fact, Dirks has officially been chancellor from 2013 until 2017. Due to misinformation from a source, a previous version of this article incorrectly stated that former Chancellor Dirks had never attended an ASUC meeting until 2017. In fact, Dirks attended at least two ASUC meetings before 2017, including in May 2013 and February 2014. Please keep our community civil. 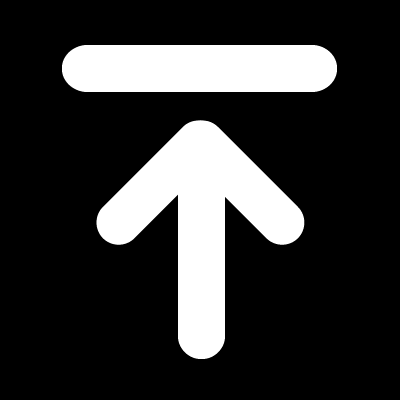 Comments should remain on topic and be respectful.